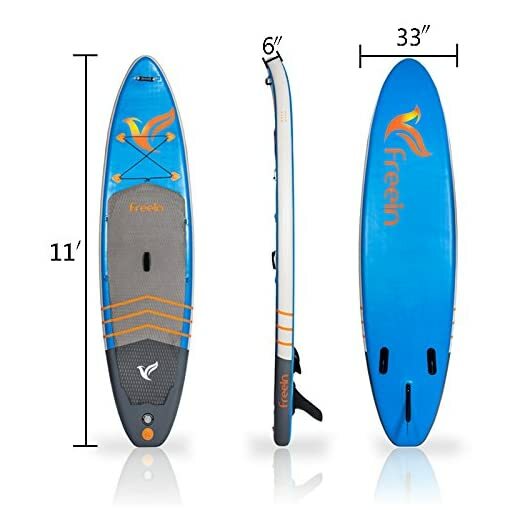 ★ This Inflatable SUP Board is high durability and multifunction that size is 11′ Long 33″ Wide 6″ Thick. 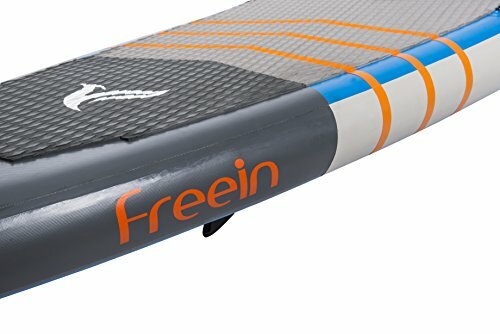 The ISUP Board is 28.0lbs and support riders up to 265lbs. ★ PVC LAYER WITH DROP-STITCH CONSTRUCTION: Strong and feels rigid and nearly indestructible when inflated. Super Durable, no longer need to worry about damaging your board when banging against debris while on the water. 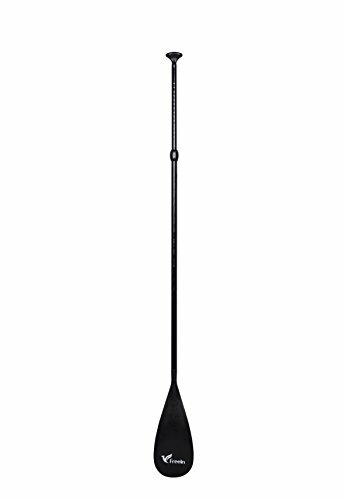 ★ ADJUSTABLE FIBERGLASS PADDLE: High quality but half the weight of a regular aluminum paddle, Breaks down into 3 separate pieces so that easily fit into your carry bag. 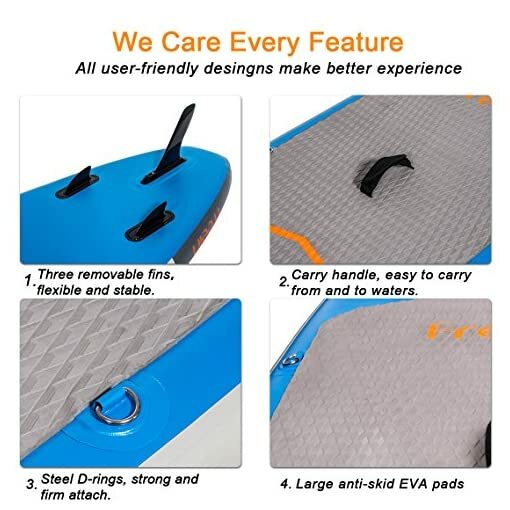 Gives you an authentic paddling and travel experience. 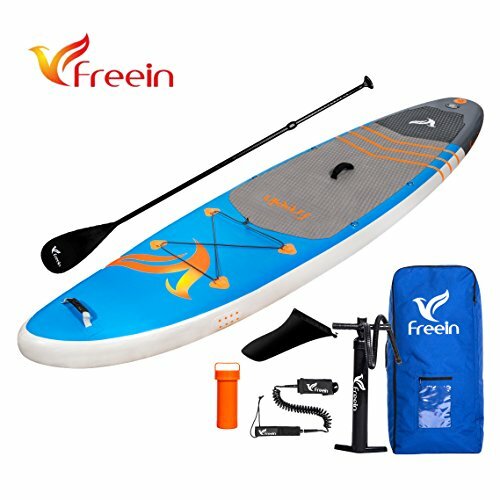 Freein is a professional and experienced ISUP seller, and specializes in the design and manufacturing of the Best all-around Inflatable SUP board. Our product has innovative design and great attention to detail. Meanwhile, it has bight and cool color. The Freein Inflatable SUP board has high durability and multifunction that size is 11′ Long 33″ Wide 6″ Thick. Freein board material is strong and feels rigid and nearly indestructible when inflated, we also pay high attention to details. Meanwhile, we have all-round 2-year warranty, you could purchase it with more confidence. The Premium complete package includes: inflatable stand up board，adjustable 3-piece Fiberglass paddle，a high pressure and high capacity air pump with pressure gauge, a light yet strong leash, repair toolkit and durable carry bag with shoulder straps. 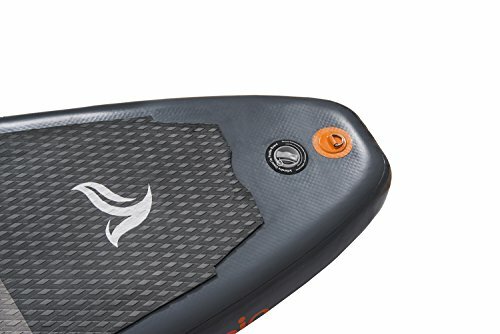 The All Around Paddle Board is 28.0lbs and support riders up to 265lbs. PVC Layer with drop-stitch construction. Strong and feels rigid and nearly indestructible when inflated. 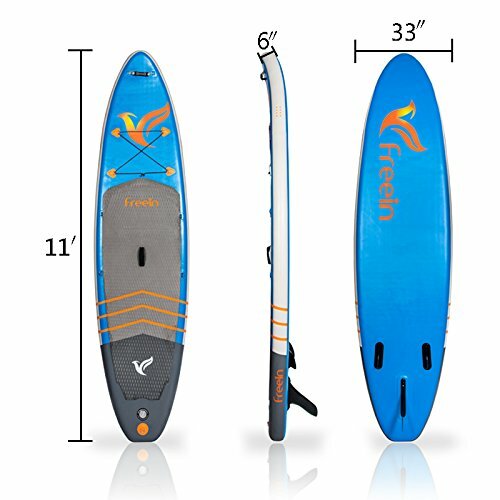 This board is convenient to carry and very responsive in waters, easy to maneuver and turn, provides a good tracking with fin. FCS Fin(US BOX): hard FCS fin with US Box; Fin screw included; Great compatibility to work on our SUP or a surfboard. The plug design and use of set screws enable the fin to be easily removed and installed for storage or travel. 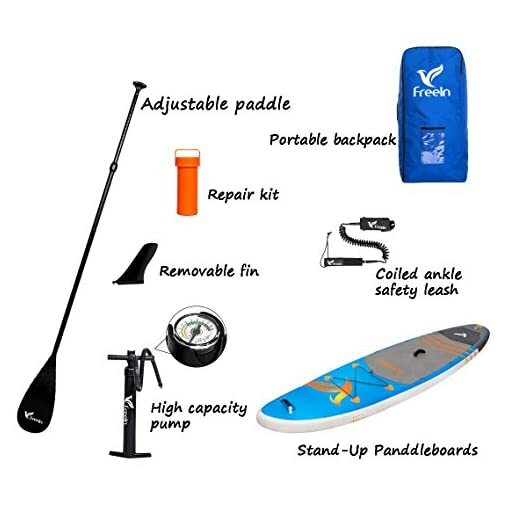 Adjustable 3-piece Fiberglass Paddle: high quality but half the weight of a regular aluminum paddle; Floating and detachable easily into three pieces for convenient storage and transportation. 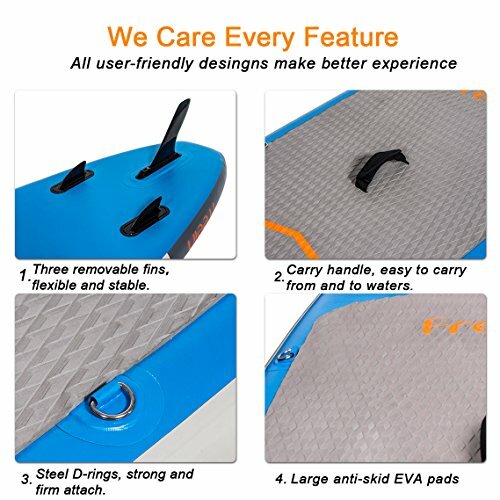 The Paddle Board is covered with full EVA sheet. There are two Carry Handles on the board. Both comfortable and durable enough. There are 9 Steel D-rings. One on the tail to attach your leash. Four in the center of the board for attaching extra gears and accessories. Four more on the up front of the board with the attached bungee cords for securing gear and accessories. Guaranteed Warranty: 2 YEAR MANUFACTURERS WARRANTY; 30-DAYS MONEY BACK guarantee. We are confident with our quality and you can count on our products to last longer time then others. However, when you do have a problem, we got you covered with 2 YEAR MANUFACTURERS WARRANTY.